President Trump in his bullying bluntness exposes the confounding contradictions of our national history and culture, possibly fomenting national transformation, Robert Koehler contends. Lindsey Paris-Lopez will not celebrate Independence Day. Instead, she “will celebrate our interdependence, our need and responsibility for each other,” and “repent of the damage that individualism and American exceptionalism are causing at home and all over the world.” Happy Interdependence Day. As critics scoff at President Trump's recent remarks suggesting an Andrew Jackson presidency might have prevented the Civil War, Dr. Tracy McKenzie points out the fairness of suggesting that the Civil War may not have been inevitable. But he also argues that the current president's stirring of the people's passions against the government would have been more likely to fuel than abate civil war. "Your Voice" author Samuel Son sees in the Christian theology of repentance the remedy to America's original sin of racism. In acknowledging and repenting of our sin of racism, he explains, we would not be renouncing our American identity but living into its fullest expression. The nationwide prison labor strike on the 45th anniversary of the uprising at Attica prison calls attention to the dehumanization of prisoners and the continuation of slavery by another name. Lindsey Paris-Lopez supports the prisoners as they assert their human dignity and argues that prisons are the nightmarish underbelly of the American dream. 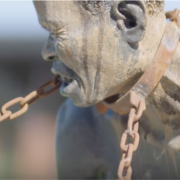 Prager University's recent viral video claiming that the Civil War was fought to abolish slavery reinforces myth, scapegoats the south, and precludes an "honest confrontation with our past," historian Tracy McKenzie explains. As the families of the Charleston martyrs forgive the shooter, Robert Koehler finds hope in the removal of the Confederate flag.